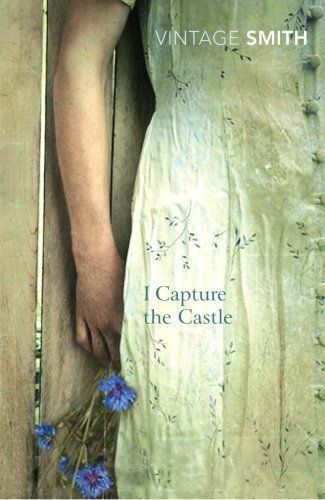 I’ve been tagged by the lovely Hayley Stone (who blogs here), to post a blog about 10 books that have affected me. I blogged (here) previously about my Favourite Five Fiction, so I won’t rehash those. But, any chance to talk about books I’ve loved and I’ll take it. So, instead of ten I’ll do the next the five, which is good, because after that Fave 5 post, I did a lot of, “Oh, but what about X?” and “No, I forgot about Y”….so here they are…. by Geraldine Brooks – anything by Brooks, really, but People of the Book is special because the MC isn’t a person, but a book. Brooks is a master of taking a tiny, relatively unknown piece of history and weaving it into the most amazing story. The amount of research this woman must do for her novels is mind-boggling. 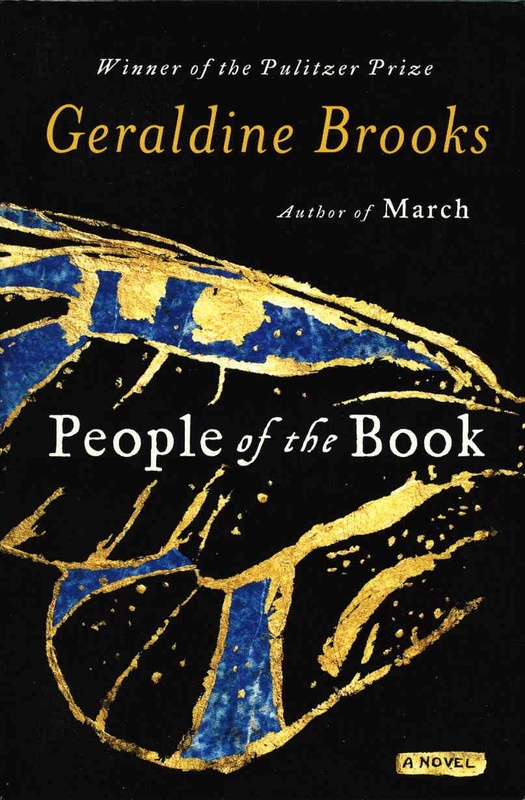 People of the Book follows the story of the Sarajevo Haggadah and all the fascinating hands that shaped it throughout hundreds of years of history and war and sacrifice and is ultimately about how books can shape who we are. It also inspired the name of my bookclub – Mums of the Book. by Jennifer Weiner – a lesser known title from the author of In Her Shoes (movie starring Cameron Diaz, Toni Collette and Shirley Maclaine). Good in Bed made me laugh out loud and nod, and shake my head and say ‘ah huh’. And the MC was not thin and pretty and perfect. She was fat (yes I used that word) and imperfect and real. And as a girl who belongs in the same category, it was refreshing to see myself mirrored in Cannie’s struggles for love and acceptance. 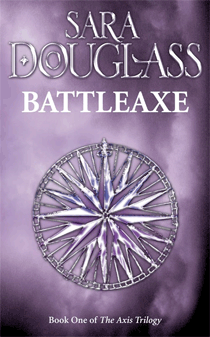 by Sarah Douglass – harking back to my fantasy days, Sarah Douglass’s Axis Trilogy was the last fantasy series I read. What was special about this series is the way Douglass set up the story and characters in the beginning so you thought you knew who was good and evil, and then she turned it on its head. She was a true master of the fantasy genre and it’s sad she’s no longer with us. 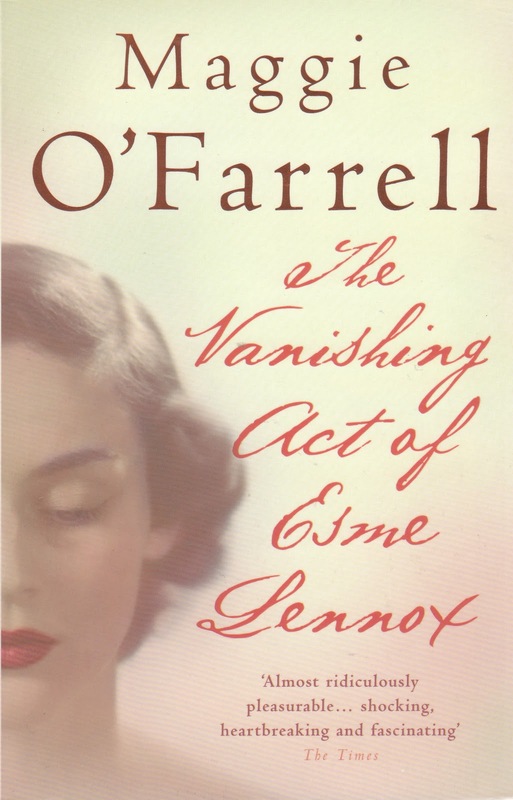 by Maggie O’Farrell – apart from a great title, this book actually made me gasp out loud at the end and very few books surprise me, so that was just wonderful. I thought Esme was a fascinating character and her story was just heart-breaking. I was also fascinated by the structure of the novel (the writer in me, I guess), as there were no chapters, per say, and the prose was broken up only by switching POV. It was a little confusing at first, but once I went with it, it worked really well. by Dodie Smith – a wonderful friend of mine gave me this to read when she found out I wanted to be a writer and she inscribed it with a message (I LOVE inscribed books as presents). I think it’s really special when people love a book so much they just have to pass it on, and this was so for her and this book. Dodie Smith also wrote 101 Dalmatians, but this is a completely book following the journal of young Cassandra as she plots her family dealing with poverty and their writer father who’s gone a bit off the rails. A story of family and writing. Doesn’t get better than that. Oh, and I’ve forgotten Anne of Green Gables!! I used to swan around as a teenager in ‘the depths of despair’ and while most women pick Mr Darcy as their literary boyfriend, for me it’s hands down Gilbert Blythe. Thanks for tagging me Hayley. In the spirit of the exercise I now tag fellow writers Bianca Nogrady, Krystal Jane and Kate Foster. Check them out – they’re gonna be famous one day. Any books that affected you? Made you laugh, made you cry? Share below. This entry was posted in As a Reader on September 9, 2014 by sandiedocker. Ooh, Anne of Green Gables! How did I forget about Gilbert? It just blows my mind that you can have a book about a book! That sounds really fascinating. I’m going to start getting my list together. Thanks for the awesome shout out. Lol! This is going to be so hard! Gilbert Blythe and Heathcliffe – too hard to choose, but wait, what about Mr Darcy and Alexei Kirillovich Vronsky. Never really fell for Moonface although I believe Silky was smitten! You’re a crack up! Moonface! Darcy is a close second. Maybe we should do a post on top 10 literary boyfriends???? What a great list. I will have to go look at your fav 5 post sometime soon. Well, no wonder we’re twitter bosom friends! Anne of Green Gables series is one of my all time favorites too! Anne and Gilbert’s relationship is a great reflection of me and my husband’s, except without most of the biggest blow ups! And now I’ve read your list it’s even clearer why we’re twitter bosom buddies 🙂 Thanks for dropping by.